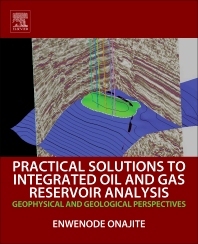 Practical Solutions to Integrated Oil and Gas Reservoir Analysis: Geophysical and Geological Perspectives is a well-timed source of information addressing the growing integration of geophysical, geological, reservoir engineering, production, and petrophysical data in predicting and determining reservoir properties. These include reservoir extent and sand development away from the well bore, characterizations of undrilled prospects, and optimization planning for field development. As such, geoscientists must now learn the technology, processes, and challenges involved within their specific functions in order to complete day-to-day activities. A broad collection of real-life problems and challenging questions encountered by geoscientists in the exploration and development of oil and gas fields, the book treats subjects ranging from Basin Analysis, to identifying and mapping structures, stratigraphy, the distribution of fracture, and the identification of pore fluids. Looking at the well-to-seismic tie, time-to-depth conversion, AVO analysis, seismic inversion, rock physics, and pore pressure analysis/prediction, the text examines challenges encountered in these technical areas, and also includes solutions and techniques used to overcome those challenges. Enwenode Onajite, author of ‘Seismic Data Analysis Techniques in Hydrocarbon Exploration’. Formerly a research reservoir geophysicist with Shell Petroleum Development Company of Nigeria limited (SPDC). He is now an independent research reservoir geophysicist and is available for opportunities in the oil and gas industry. He is an Associate member of the Nigerian Association of Petroleum Explorationists (NAPE) and member of the Society of Exploration Geophysicists (SEG).